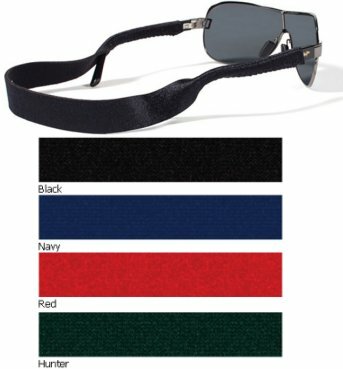 Micro Fiber Cleaning Cloth 7" x 4"
Introducing the newest addition to the ARC family, CroakiesÂ® ARC Endless. 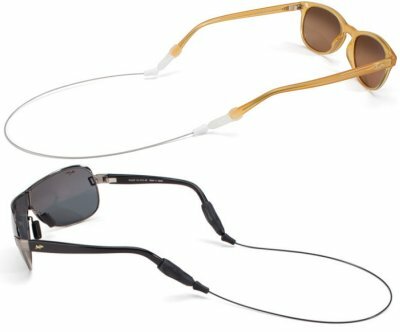 We've combined the features of the ARC System with the cable adjustment technology of our Endless System, to make the most highly adjustable eyewear retainer on the market. It's a cinch to adjust, and has a modest profile with a refined technical look. 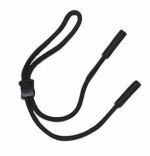 Available in black or silver cable, with three cable length options. 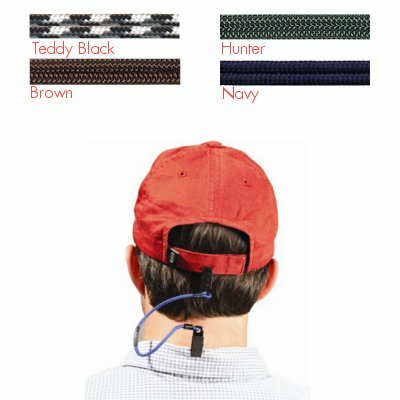 CroakiesÂ® ARC systemâ„¢ features an articulating cable, that adjusts to the angle you prefer, off the neck and collar. The ARC systemâ„¢ also features MIDDI & MAX ends, that properly fit most temples. Ends snap on and off, for easy interchangeability. These features add up to a lightweight & waterproof retainer that is the perfect fishing companion. 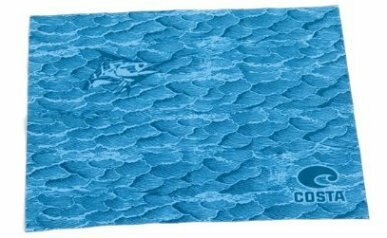 fully adjustable soft slider bead, new molded UV resistant ends, thin climbing rope, 24" long and 1/6" wide. comes with a black bead and ends. 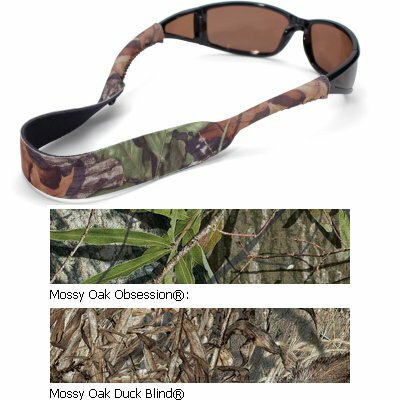 Mossy OakÂ® Print Croakies and XL Croakies, include the popular Break-Up, Obsession, and Duck Blind camo patterns. 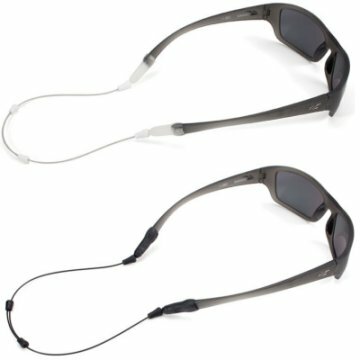 Blend in with your surroundings and remain discrete with the REALTREEÂ® Print Croakies and XL Croakies. 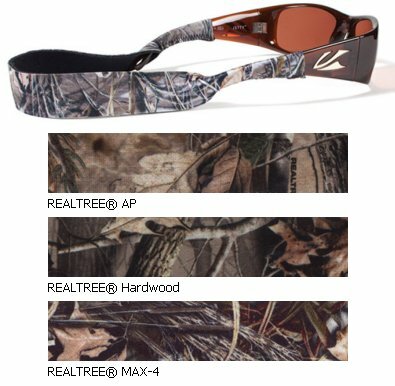 A must-have for the avid sportsman, REALTREEÂ® camo patterns are versatile and come in three distinct patterns. So no matter the location of your favorite hunting locale, we have the REALTREEÂ® camo patterns that are perfect for you.